The Klymit Static V Insulated is a lightweight camping pad which uses Klymit's body mapping technology at an entry level price. Essentially the same design as the standard Static V, with the addition of synthetically filled tubes to minimise convection within the mattress and significantly improve warmth. 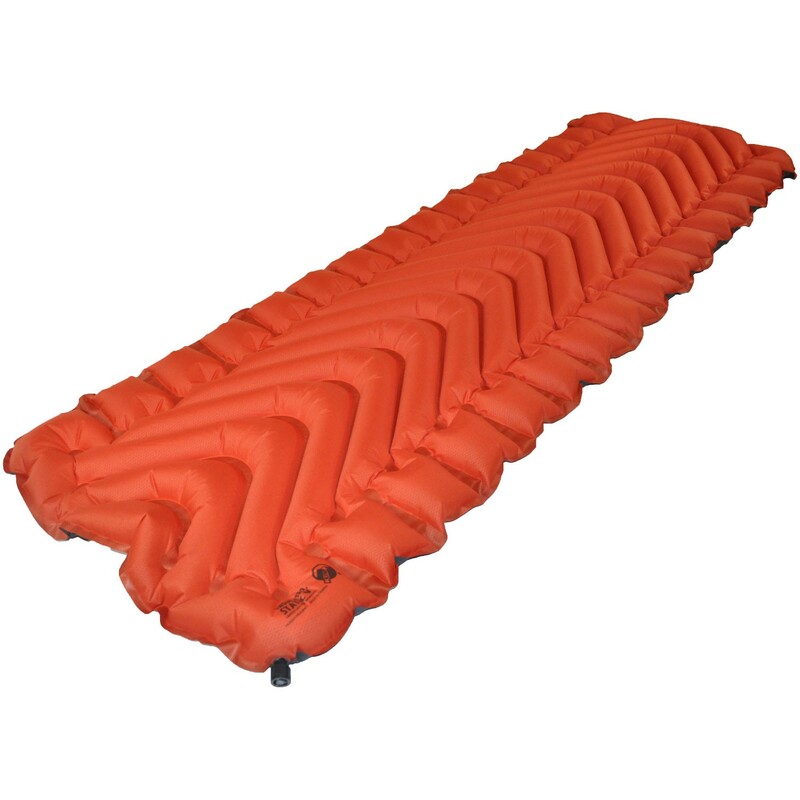 Like all of the other Klymit camping pads it features an easy-to-use push valve which allows for quick inflation and deflation. This is not a self-inflating mattress, but can be inflated in approximately 10-12 breaths saving you time and energy wherever you are. When it's time to pack away, the Klymit Static V Insulated rolls up to slightly smaller than a 1 litre Wide Mouth Nalgene bottle.